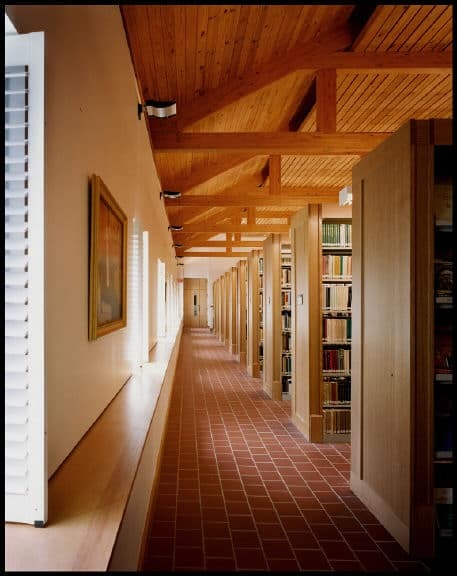 The Clare Boothe Luce Library, funded chiefly by the Henry Luce Foundation, opened in 2001 to house the monastic collection of philosophy, theology, monastic studies and art, and rare books. 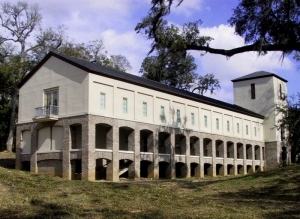 Named after the friend and patron of Mepkin, the Library provides 11,000 sq. ft. to house some 43,000 volumes on two floors. 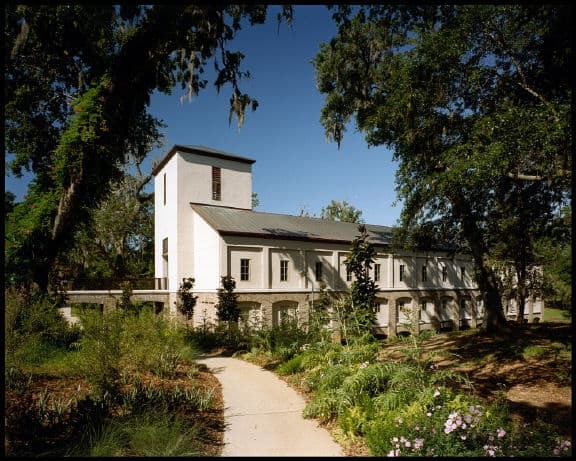 Offices, study carrels, a rare book room, an archive room, the Tower Meeting Room, and the Laurens Conference Center complete the functions of the facility. The Library is equipped with the latest in computer technology and is climate-controlled by geothermal mechanical systems. The Conference Center offers teleconferencing and a state-of -the-art audio/visual theater. It is graced by four portraits of members of the Laurens family, all of whom are buried here at Mepkin. The Conference Center is the generous gift of Tom Ashe Lockhart, a descendent of Henry Laurens. The CBL Library nestles in a ravine below the main monastic complex. Built on massive pilings sunk to a level of 40 ft. to allow storm water to drain beneath it, the Library is strengthened and stabilized by post-tension concrete beams. 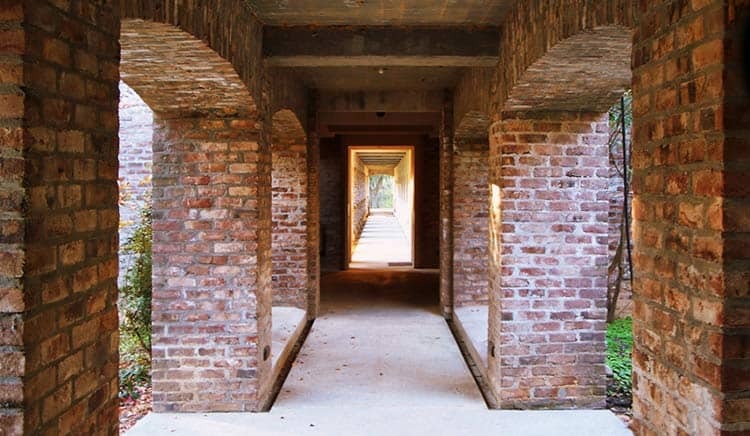 Colonial brick graces the arches of the lower level, and limestone and natural stucco cover the upper story. The Tower, five stories high, and barely cresting above the trees of the green, provides a lofty view of the campus. The Library building is a treasure house of wisdom where the brothers breathe in the monastic culture developed over many centuries. Although the book collection is unique in the Southeast region, its genius lies not in its scholarly science, but in the way of life celebrated there. It is the brothers’ collection, and by its contents, one gets to know what lies behind the way of life led by the monastic community. It is easy to see why Scripture and the study of Scripture, monastic writings from the first centuries of Christianity, and the writings of our Cistercian Golden Age (12th century) are the most important holdings.